An in-depth look at the new S90 from Volvo. We dive right into the details about the Volvo S90 to find the information you care about. The all-new for 2017 S90 is Volvo’s top-tier luxury sedan, and there is no denying that it’s a handsome car. 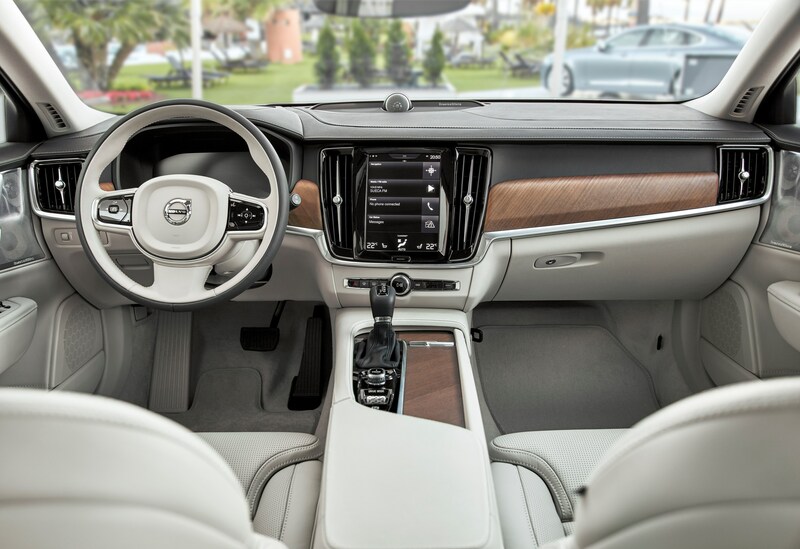 It retains Volvo’s masculine, yet refined, styling that is sure to appeal to luxury car buyers. While the new S90 is a completely new model, it’s intended to replace the outgoing Volvo S80. As the largest sedan in the lineup, it’s placed above the S60 — both in price and accoutrements. Notably, however, there is currently no performance S90 model, meaning even a well-optioned new S90 is priced below the S60 and V60 Polestar models. It’s obvious that Volvo is intending the new S90 to be a straightforward executive sedan to compete with the BMW 5-series, Mercedes-Benz E-Class, and Audi A6. In that role, it looks to fill the space well — it’s well-appointed, powerful (despite only having 4-cylinder drivetrains), and luxurious. Like the V90 Cross Country and XC90, it’s built on the Scalable Product Architecture (SPA) platform, designed to be used across all of Volvo’s large models. Predictably, it uses most of the same drivetrains and equipment as those models, and there is little to differentiate it — other than the obvious point of it being a sedan. See the New S90 Forum here. While this is the base trim level for the S90, it would be foolish to consider it basic. Standard features are still what most would expect in a luxury sedan, including: active and passive safety features, leather power seats (with driver memory), power moonroof, dual-zone climate control, large driver and center LCD displays, Sensus, and Rear Park Assist. Stepping up from the Momentum to the Inscription trim is mostly about better seats. Yeah, it’s that simple. You get upgraded leather, standard heated and ventilated front seats, and power-adjustable cushions and bolsters. A couple of other features are thrown in (larger driver display and more interior illumination). But, for the most part, the Inscription is all about nicer seats. 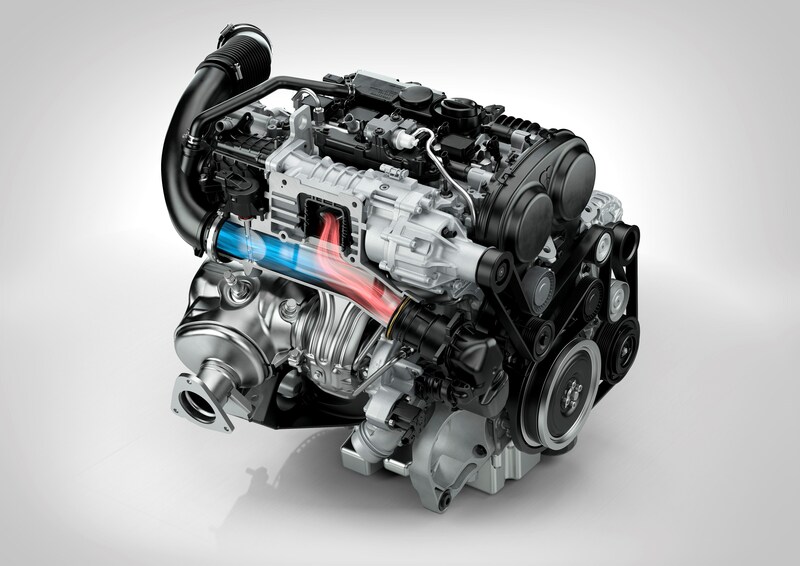 The T5 is Volvo’s standard drivetrain across their model lineup. It’s a 4-cylinder turbocharged 2.0L that makes 250hp and 258ft-lbs of torque. In the new S90, this results in a very respectable 34/23 mpg when paired with the 8-speed Geartronic automatic transmission (the only option). 0-60mph acceleration is a healthy 6.7 seconds. Moving up to the T6 adds a supercharger (in tandem with the turbocharger), as well as all-wheel drive. Power increases to 316hp and 295ft-lbs of torque. Once again, the 8-speed Geartronic is your only option. That extra power is enough to boost 0-60 times a full second to 5.7 seconds. This is roughly in the middle of the pack for luxury sedans. If you think Volvo has rested on their laurels while other luxury car makers have caught up to them in safety, this section will surprise you. The new S90 has received perfect marks from the Insurance Institute for Highway Safety in crash tests. Volvo’s active safety systems have been growing in number and effectiveness since Anti-Lock Braking made its debut in 1985 on the 760 Turbo. 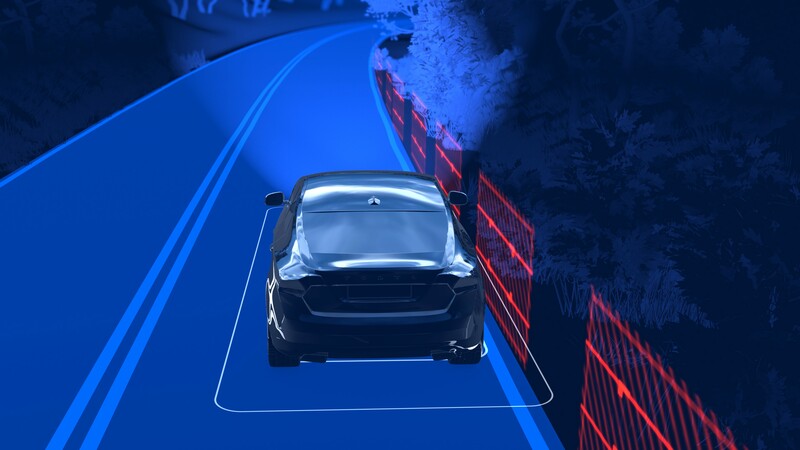 Our unique run-off road protection system continuously scans the road ahead and behind you. If the system spots a potential run­off scenario or collision, it automatically tightens the front safety belts electrically to help keep you at a safe position. This together with a robust body structure and the other restraint technologies, helps provide the best protection in a collision. This is a feature that calculates the odds that you’re crashing at any given moment, and prepares the car for a collision if it’s determined you are crashing. The 2017 S90 has strengthened passenger compartment, advanced steel blends to save weight and increase strength, crumple zones, seats designed to absorb energy in the event of an accident, and headrests designed to minimize injury. Volvo’s passive safety systems dutifully make their appearance here, just as they have in Volvo’s passenger car offerings since, oh, the middle of last century. Passive safety on the new S90 and all cars is a wide field, encompassing parts of the car that are well outside “safety” items. Consider heated seats. They make the driver more comfortable on a cold mornings, right? But is this a luxury technology or safety technology? A warm seat allows the driver to be alert, and to concentrate on driving instead of shivering and playing with the climate controls in an effort to warm up. An alert, concentrating driver is more likely to avoid accidents, and thus what we know as “luxury” is actually also a safety feature. Ok so the Volvo S90 checks all the boxes in safety. What about convenience, intelligence and creature comforts? Does it have these things too? Yes, yes it does. There are gadgets galore in the S90, both standard and optional. Much of this is what you’d expect in a modern luxury sedan, such as Apple Carplay, power everything, navigation, automatic windshield wipers, and the like. But there are a number of options we simply don’t see in other vehicles, or which are just starting to hit the market. Some of the cooler ones are the 360° Surround View Camera, Graphical Heads-Up Display, semi-autonomous driving (called Pilot Assist), and parking assist for every parking situation. Even aside from the neat technology available, the new S90 has a lot to offer — Volvo certainly hasn’t skimped on the fancy. Heated seats are available in all the seats (including rear seats), 4-zone climate control is optional, and at the top-tier the driver’s seat can be adjusted in more ways than you probably thought was possible (or necessary). There are even optional heated windshield washer nozzles, for those frosty mornings you’re picturing waking up to in the Swiss Alps. Compared the its competitors at BMW, Mercedes-Benz, and Audi, the Volvo S90 is fairly inexpensive — cheaper than everything but the Audi A6 (though not by a huge margin). The whole group of them have similarly sized 4-cylinder engines as standard, and have remarkably similar fuel economy and power output. The new S90 has a surprisingly small gas tank (only 14.5 gallons), which might be bad news for distance driving. The S90, along the A6, is not rear wheel drive, unlike the BMW and Mercedes, so don’t plan on taking it to the next Formula-D competition. Car & Driver likes the S90 but doesn’t love it, the biggest complaint being ride quality. As with most press on this car including us at MVS, Car & Driver loves the interior. The S90 interior sets a new standard, topping even Audi. The Volvo S90 is priced and equipped very close to the competition. Those who purchase a new S90 are likely to do so for the refined Scandinavian design and robust build quality. Or, simply to have something different than all of their buddies at the golf club. As a new model, the S90 seems well thought out, but not groundbreaking — and that’s not necessarily a bad thing.